The route to Machu Picchu has many landscapes that transform the journey in a show worth admiring. 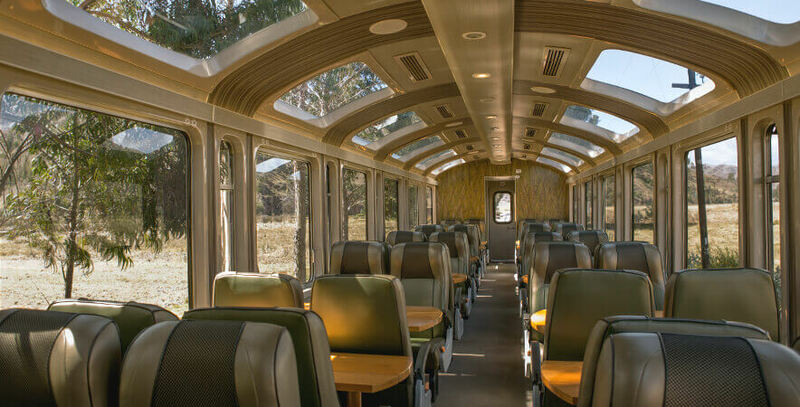 That´s why the PeruRail Vistadome train, which has panoramic windows in every wagon, is the best option for those people who love to be in touch with nature from the moment they first arrive. 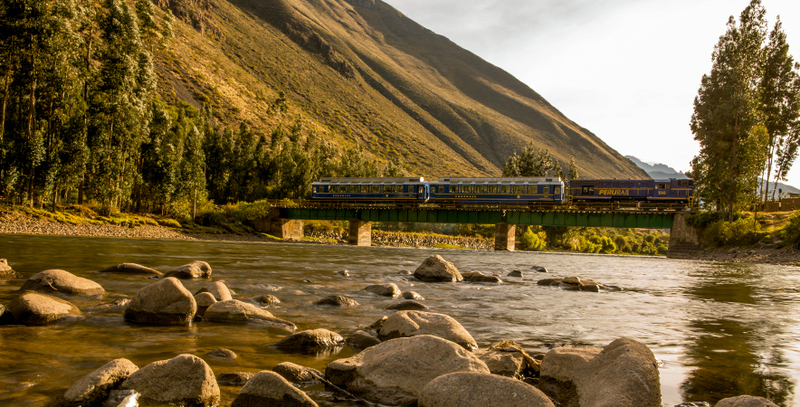 From Poroy Station, located near Cusco city, or Urubamba and Ollantaytambo Stations, both located in the Sacred Valley; begin an adventure full of magic to Machu Picchu on board the PeruRail Vistadome. Sit comfortably and feel the connection with nature. Beautiful landscapes will make the trip an unforgettable experience. From a full dry pampas panorama, typical peruvian andes, to an intense green view of the jungle. 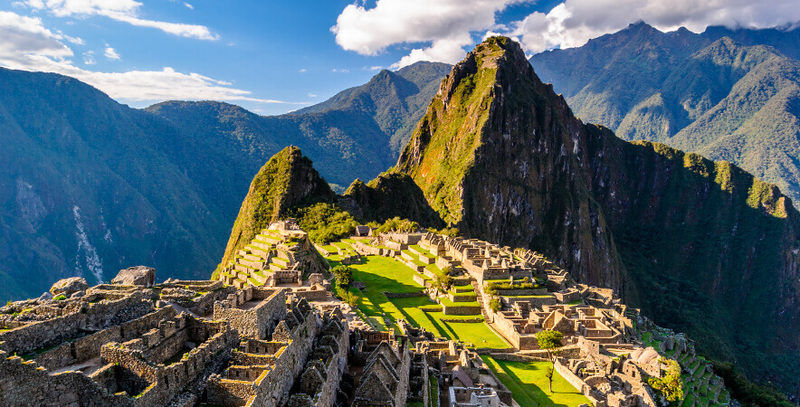 Diverse sensations, a mixture of relaxation and wonder, will take you to a state of tranquility while the trip goes deep into the Inca territory. 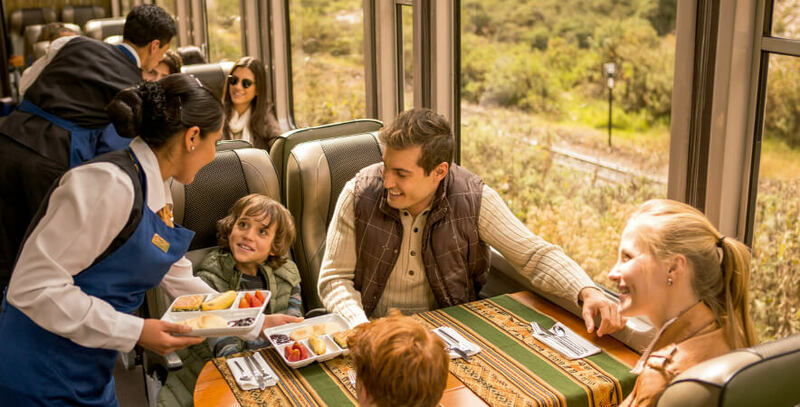 While you enjoy a light snack prepared with unique local andean ingredients accompanied by traditional background music, the Vilcanota River, also called by the Incas “Wilkanayu” that means “Sacred driver’’, accompanies the train during much of the tour. Vilcanota river view in Cusco and the PeruRail Vistadome train from the outside. 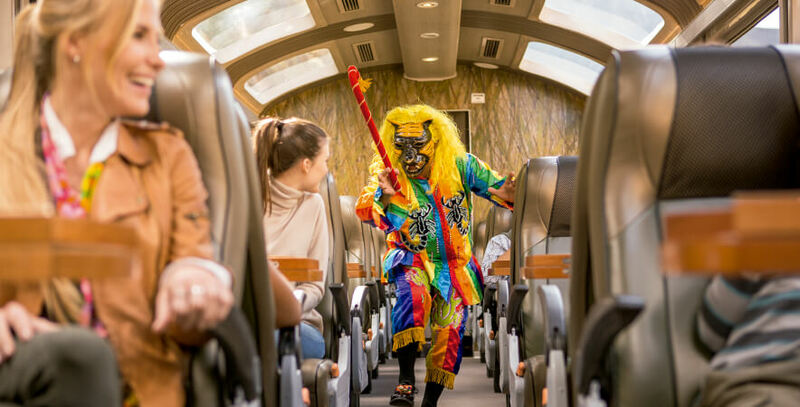 Finally, the adventure to Machu Picchu turns unforgettable when the magic takes in the PeruRail Vistadome train on the outbound journey. Dancers of Saqra, traditional dance of Puaucartambo, Cusco, get on the wagons to spread the typical euphoria of the Andean customs with their joy and dancing steps. The journey continues with an elegant Fashion show that display on board an exclusive collection of Baby Alpaca, which have been worked in a collaborative way with the andean communities, to promulgate their art and textiles. Then you can buy them at the end of the presentation. So, if you enjoy nature, landscapes and new experiences, your best alternative to get around the sacred Inca city, Machu Picchu, is on board of the magic experience found in PeruRail´s PeruRail Vistadome train.